We are going to bootstrap the testing and do it all via email for now (API / easy upload coming later). So if you are interested just DM me if you're interested and I'll put you on the list so we can get started in the next couple of days. The testing phase will be completely free, no strings attached. Looking forward to hearing the feedback - just ask if anything is unclear! Wow! this looks incredibly useful. @Dom This is great. We are interested in seeing how this moves forward. 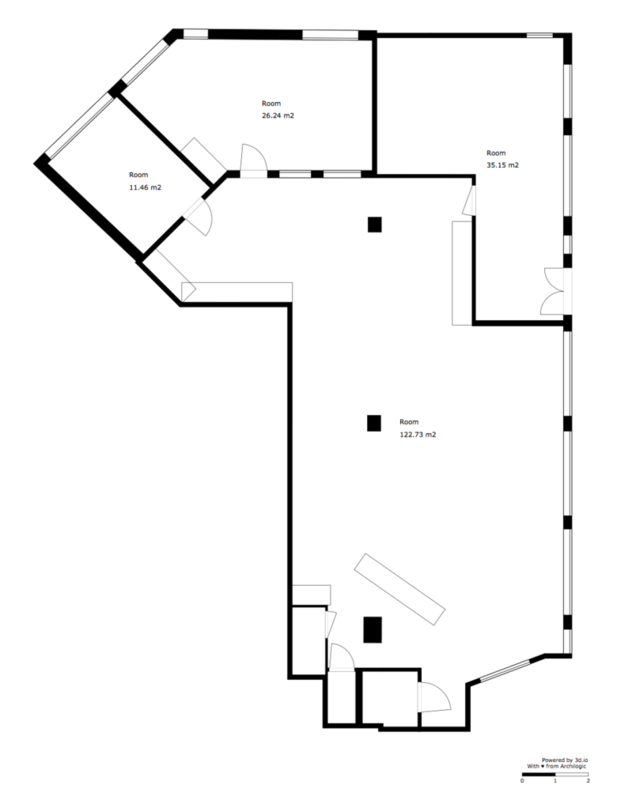 Floor plans are becoming a large market for us here in Alberta. @Metroplex360 thanks, looking forward to hearing your feedback! So amazing that you can automate these conversions. WOW! Dom, I wwould love to beta test this. I have 2 architects looking at being able to use this style from Matterport scans. @DanSmigrod thanks - hopefully it will prove to be useful to all the MP users! @Dom, did any of the feedback from this thread ever make it in to the Archilogic platform? The suggested adjustments over there (if those are realistic goals on Archilogic's end), combined with the features you listed above would make for a very appealing workflow for some projects. ...it might be worth checking out 3d.io. We're making all of our APIs individually accessible as a toolkit for building 3d Apps on the web. As part of that, we're close to releasing what we are calling the Architectural Toolkit which will allow you (for now from within the Aframe frontend, yes, that's new too) to address every single element / type of element meaning you can script and create logic in HTML while we handle the complex 3D workflows in the background. Our overall vision is to revolutionize spatial decision-making for interiors, and in order to do that we need to provide a platform which 1) standardises building data at massive scale so 2) we can help make it useful. There's still a lot to do, but 3d.io is the foundation from which this will grow. Feel free to DM / email me for more in-depth discussions. I appreciate your detailed thoughts!